Sure, I might loathe ye-olde mainframes, but there's actually a lot of retro-tech stuff that I love. Two of them are pictured left. The IBM Model-M Keyboard and MiniDisc. The IBM Model-M is practically a tank, the mother of all ultra-durable keyboards. They're almost impossible to break or wear out. They have a springy tactile feel, and make a lot of noise when you type on them. Many people see this as a horrible turn-off, but there's a certain subset of people who really, really like it. I'm one of them. 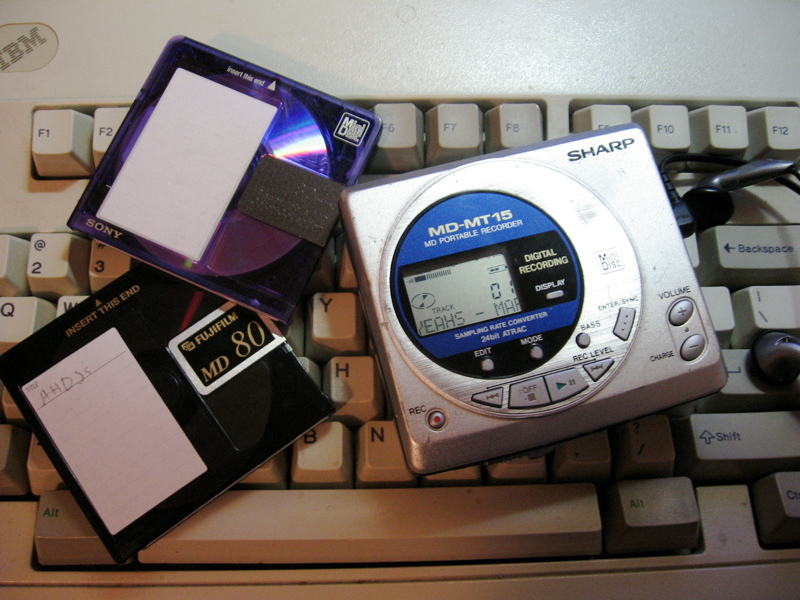 MiniDisc is a somewhat failed experiment of the early 1990's, at least in the US. You can still buy MiniDisc players and recordable media, but they're getting increasingly difficult to find. One thing that I really enjoy about MiniDisc aside from the size is the fact that many of the portable MD recorders have optical S/PDIF ability as well. I actually use the MiniDisc player shown above quite often. I don't have a modern MP3 player with the exception of the CD-MP3 player in my car. I could go on and on for quite a while about old-school stuff that I still love and use, but I'll save it for another day. What are some old-tech things that you still love?